The key to safe driving is based on common courtesy. But since not everyone is courteous, right-of-way rules are also codified in West Virginia. These laws are in place to keep you safe, and you need to know them. Most collisions occur because someone has failed to yield right of way to someone who should be given it. Learn and obey West Virginia’s right-of-way laws so that you can be safe, and not endanger anyone who shares the road with you. If you are accessing a public road from a private road, driveway or alley, you must give right of way to vehicles that are already in the public road. At an uncontrolled intersection, if you get there at the same time as another driver, give the right of way to the driver on the right. When approaching an intersection that has a Yield sign, give the right of way to any traffic that is already in the intersection, and also to oncoming traffic. When turning left, yield to oncoming traffic. When turning right, yield to through traffic and pedestrians. Any emergency vehicle that is using its siren or air horn, and/or its flashing lights must be given the right of way. If you are already in the intersection, keep going and pull over once you have cleared the intersection. You are not required by law to yield right of way. However, it is considered courteous to do so. 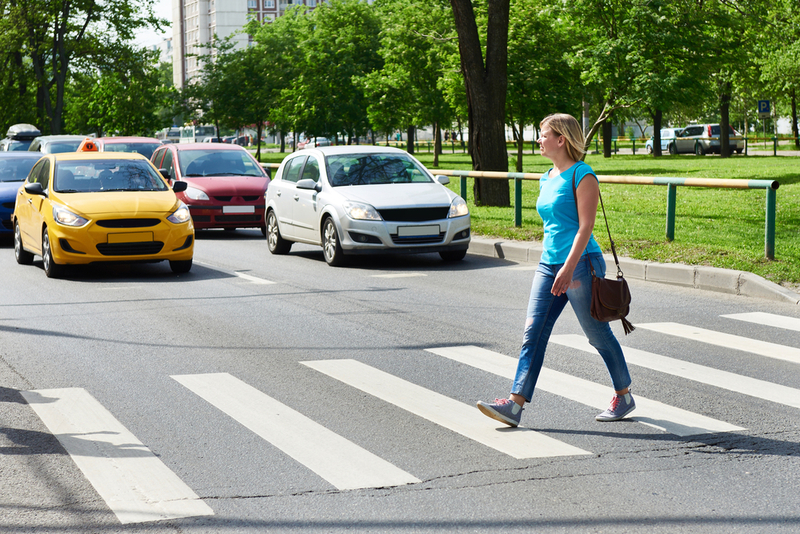 Pedestrians in crosswalks must be given the right of way. Pedestrians who are crossing a sidewalk that is at right angles to a driveway or alley must be given the right of way. Blind pedestrians must always be given the right of way. You can identify a blind pedestrian by the presence of a guide dog, or the use of a metal or white cane that may or may not have a red tip. Pedestrians who cross against the light or jaywalk are subject to fines. However, in the interests of safety, you must still yield the right of way even if the pedestrian is crossing illegally. Many motorists believe that they are entitled by law to the right of way if the light is in their favor, if they are first at an intersection, etc. However, safety invariably trumps right of way. No one is entitled to right of way – it has to be yielded. If you “demand” right of way, and take it under any and all circumstances, you could end up facing charges if an accident occurs. If you fail to yield right of way in West Virginia, you will have three demerit points assigned to your driver license. Fines will vary depending on jurisdiction. For more information, refer to the State of West Virginia Driver's Licensing Handbook, Chapter 6, pages 49-50.